Why should you care about the Hegelian Dialectic? How does it affect me? The dialectical philosophy devised by Georg Hegel underpins the entire political and social strategy of the radical left. 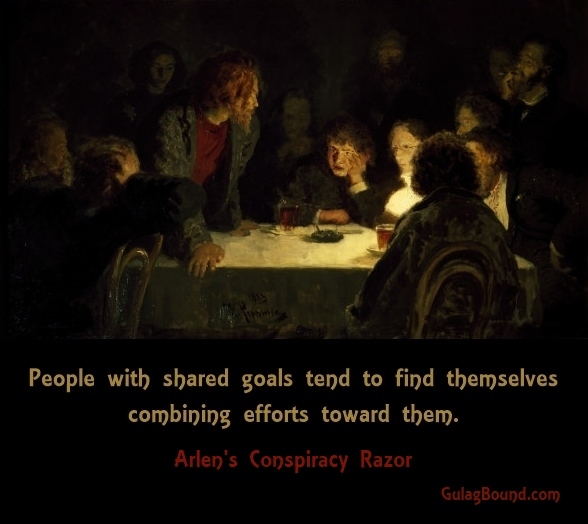 The dialectical approach to “consensus-building” (compromise) and “conflict resolution” (dialog) is the process with which the radical left attempts to control and manipulate outcomes. 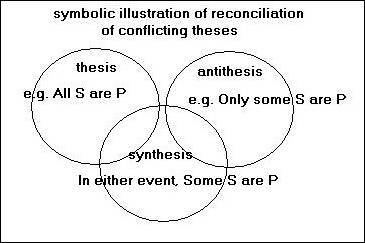 There are several reasons why I felt compelled to write an article on the subject matter of Hegelian dialectics. First, I thought I would take a shot at introducing the subject matter to those who are unfamiliar with it, and why it is relevant to politics today. Secondly, I thought it “prudent at this juncture” to clearly lay out important distinctions between Hegel’s philosophy and that of Marx’s theory of dialectical materialism. I have been reading and hearing the term “Hegelian Dialectic” bantered around more and more. 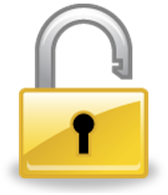 As a matter of fact, my last article submitted to the The Watcher’s Council, I, once again, brought up the Hegelian dialectic in relationship to our two-party system–the infamous left-right paradigm, as I am wont to call it. But I digress. Hegelian dialectical theory is simply a philosophy, a way of thinking–a thought process. But when taken to its extreme, and applied by unscrupulous characters, it is a very dangerous and lethal strategy. For it is not a new strategy or idea, but an ancient one. And it takes many forms. Indeed, it can be difficult to expose the strategy, even by those deeply familiar with it, because the agenda is hidden, and the predetermined ends are kept secret by those employing the strategy. 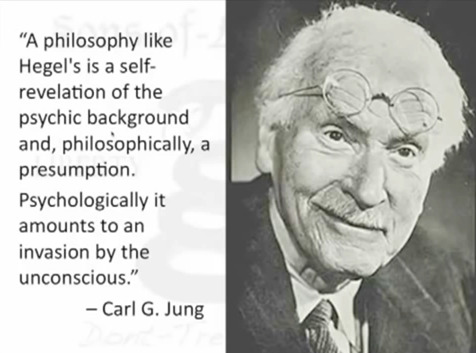 But before we get started exploring Hegelian dialecticalism (author’s own term), let me state clearly: there are entire books written on the subject matter of dialectical philosophy, and on the life of Georg Wilhelm Friedrich Hegel, the father of the so-called Hegelian Dialectic. I do not consider myself an authority on Hegel. Nor do I consider myself an expert on dialectical philosophy–in all its varied forms. I have simply researched the subject matter in some depth. So let’s just start with the man who is credited with devising the dialectic: Georg Wilhelm Friedrich Hegel was a German philosopher, and a major figure in German Idealism. Georg Hegel was born on August 27, 1770, in Stuttgart, Germany, and died on November 14, 1831, in Berlin, Germany. Hegel developed a theory related to historicist and idealist ideas–an account of reality which eschewed the concept of absolutes–a precursor to Continental philosophy (cf. European Union). Hegel’s philosophy and ideas greatly influenced Karl Marx and Friedrich Engels as well, along with people like Sigmund Freud, and many others. 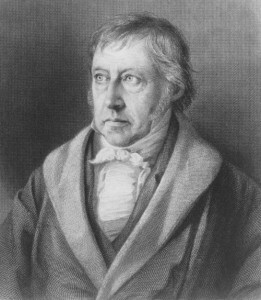 Georg Hegel had great disdain for the concept of Individualism, and is quite popular with collectivists. He literally hated the individual. The Hegelian dialectic is not only a strategy of outcomes, but also a strategy of psychological projection. The idealism of Hegel’s theory also fit nicely with the Marxist notion of Utopianism, which Marxist theoreticians have promised will be the ultimate outcome–a workers’ paradise–once a collectivist society has been permanently established worldwide–Heaven on Earth. Today’s self-described liberals and progressives both knowingly and unknowingly promote historicism, relativism, idealism and collectivism. 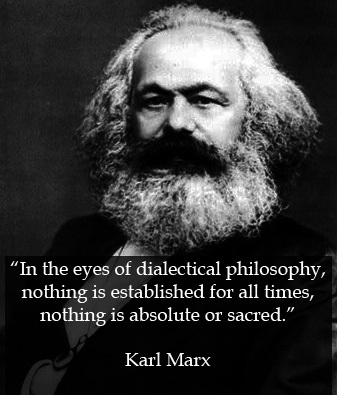 Dialectical philosophy provides the foundational rationalization for the theory of Marxian socialism. The dialectical approach is also central to modern-day “community organizing.” The “equality of outcome” often demanded by the left has its roots in Hegel’s dialectic. Of course, the formulaic strategy of the Hegelian dialectic is certainly nothing new. 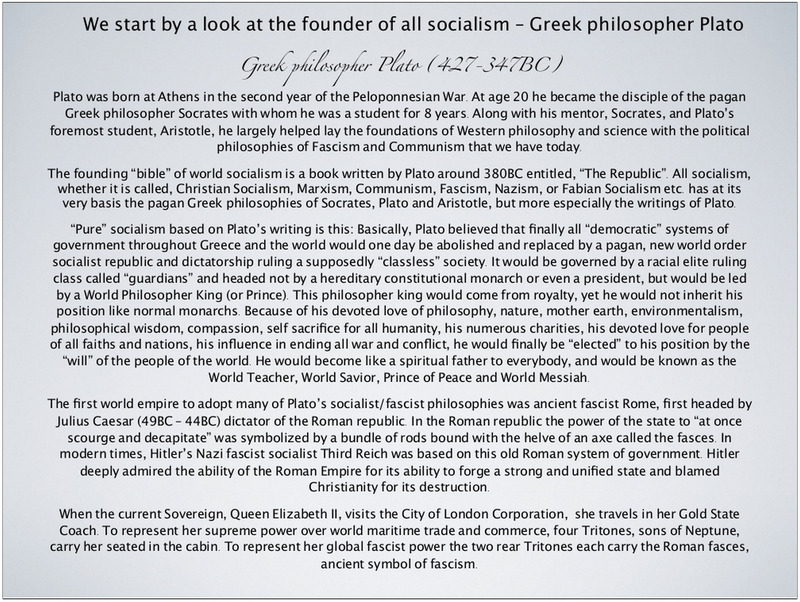 One can see its roots snaking all the way back to Plato’s Republic, and I would suspect it goes farther back than that. Dialectics has its origins in ancient society, both among the Chinese and the Greeks, where thinkers sought to understand Nature as a whole, and saw that everything is fluid, constantly changing, coming into being and passing away. It was only when the piecemeal method of observing Nature in bits and pieces, practiced in Western thinking in the 17th and 18th century, had accumulated enough positive knowledge for the interconnections, the transitions, the genesis of things to become comprehensible, that conditions became ripe for modern dialectics to make its appearance. It was Hegel who was able to sum up this picture of universal interconnection and mutability of things in a system of Logic which is the foundation of what we today call Dialectics. The Marxist dialectic and Hegelian dialectic differed in the definition of the actual forces with which the dialectic operated. For Hegel, it was ideas. 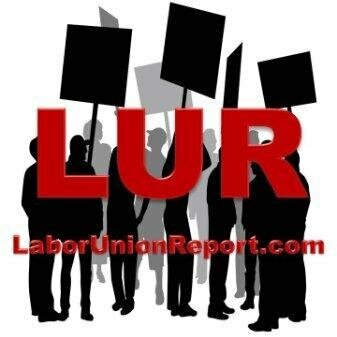 For Marx, it was economic relationships to the means of production. 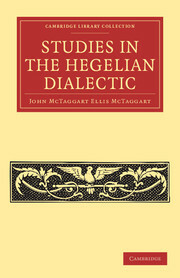 Dialectics provides the foundation for Marx’s theory of dialectical materialism–an outgrowth of Hegelian dialectics. This is an important distinction to make–meaning, not to confuse Hegel’s dialectics with Marx’s materialistic philosophy of dialectical materialism. Russian students attending university in the former Soviet Union were required to take three years of materialistic philosophy. The dialectical approach to reality was to reject the very concept of absolutes. The whole foundation behind Hegel’s way of thinking is that everything is constantly changing, and must forever adapt to the eternal change (cf. “mutability,” moral relativism). Karl Marx clearly embraced this relativistic view. 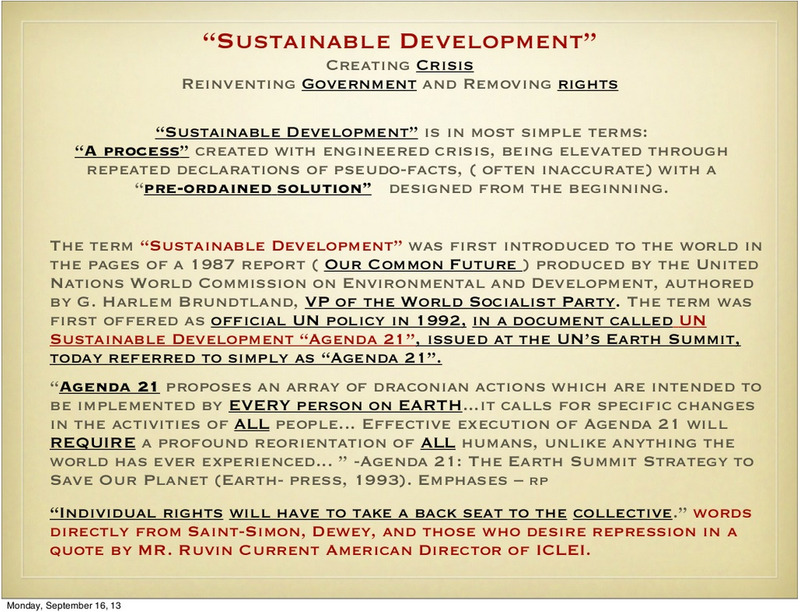 The concept of change is central to Hegelian dialectical theory and strategy. 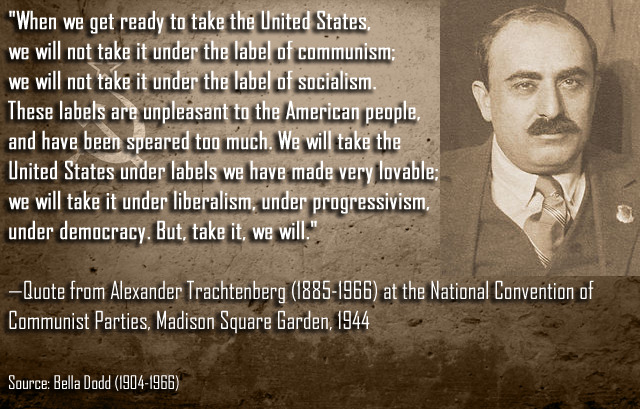 This helps explain why leftist political strategy centers around the concept of dialectical change. Hegel’s radical, young followers considered Hegel’s Argument a critical and important tool to “ruthlessly” criticize Christianity, and religion in general. The dialectic is analogous to the argument that “everything is just shades of gray.” Hegel’s dialectical process proposes there are only shades of gray–no black or white. 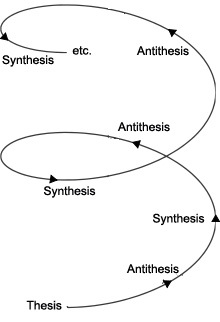 The interesting and powerful feature of the Hegelian dialectic is once the circular argument has reached synthesis, a new thesis can be created and the process begins anew, incrementally and progressively moving forward toward the next predetermined outcome–a sort of dialectic helix. Applying the Hegelian strategy can be accomplished through a process of tension and resolution. A good way to illustrate the concept of tension and resolution used in a repetitive and incremental fashion is music. Imagine a familiar passage of music, or a short jingle from a commercial. Now imagine I played the passage of music you are thinking of in front of you, yet I left off just one note off at very end of the musical passage. A sense of tension can be triggered because the passage did not resolve as expected; there was no resolution because the last note was left out. Music that might be described as spooky or scary tends to use more tension than resolution. Conversely, music that strikes a harmonious balance between tension and resolution might be described as soothing or uplifting. The power in using tension and resolve as a strategy in controlling groups of people is very powerful tactic indeed; it can literally create a very real mental, emotional or physical (or all the above) response–even trigger a Pavlovian response. 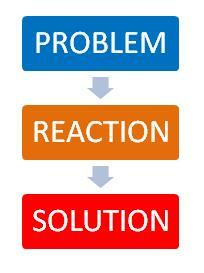 The Hegelian dialectic reduced to its simplest form could be summed up as problem, reaction, solution. The “agent of change” employing the strategy creates the problem or crisis, foments the reaction (tension), then attempt to control the outcome by providing the solution (resolution). The Hegelian strategy requires an alchemic process of tension and resolution in order to reach a predetermined outcome. But how do we create tension in a group and control the outcome? One way to create tension is to introduce diversity. By introducing diversity into the group, tensions are raised, and the chances of conflict are increased. Diversity is needed for conflict, according to the Hegelian model. The Supreme Leaders of Marxist-Leninist regimes I have researched appear not to be leaders, per se, but rather change agents, whose dialectical formula of seduction, deception and manipulation is injected into the masses to gain supremacy over all groups for the sake of so-called “unity in diversity.” The change agent creates permanent conflict–forwarding the Marxist belief that all “progress” is brought about by conflict. 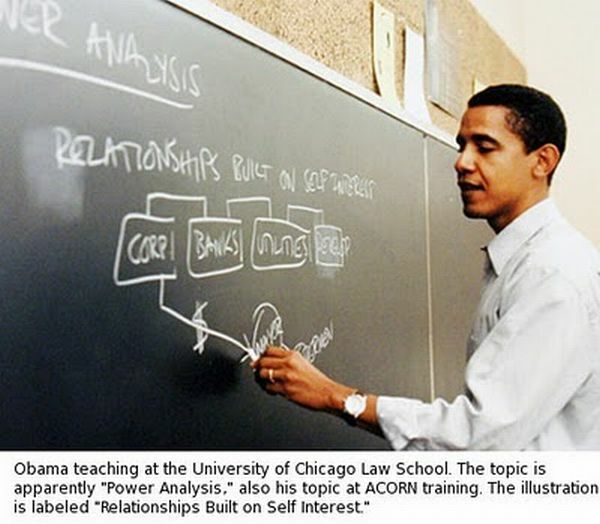 Follow the money: Barack Obama teaching students in Chicago the Alinsky Principles–specifically, Alinsky’s power analysis, which looks at relationships built on self-interest between corporations, banks and utilities. 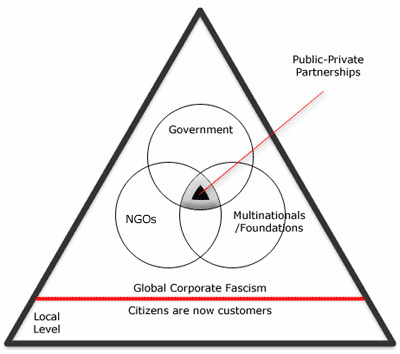 Notice the flow chart indicating the flow of money and power out of the private sector (‘CORP’) and into the public sector (‘MAYOR’). Alinsky in a nutshell: issues, problems, crises, conflict. 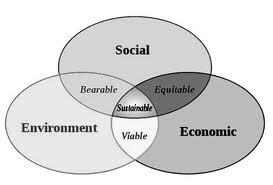 The purpose is to bring about “radical social change”–paradigm shift, fundamental transformation, transition, new system, etc. The disturbing aspect to Alinsky’s approach for “radical social change” is his belief in the Marxist-Leninist method of always keeping the masses demoralized so they will demand change, or even insist the system be abolished altogether. 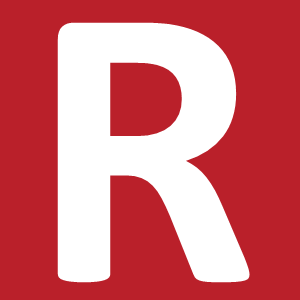 It was Vladmir I. Lenin who originally put Marxist-style revolution into practice, i.e. the “dictatorship of the proletariat,” killing millions in the process, without mercy or compassion, and spreading Marxist-Leninism around the globe–existing to this day. Hegel and Marx merely developed the theory. But it was Lenin, and those who followed in his footsteps, who committed genocide on an industrial scale in the name of Marx and Hegel. Although the ideology of Hegel, Marx & Engels greatly influenced Lenin, Marx merely came up with the theory. Lenin took action. I can’t help but point out some striking ironies and stark contrasts regarding Hegelian and Marxist dialectics. Although the dialectics of Hegel and Marx eschew the very concept of absolutes and the deity of a Higher Power, the systematic and formulaic approach that Hegel and Marx use to employ their strategy requires absolutes. In conclusion, I’ll leave it there.